If you would like more information please contact us at info@healthservicecorps.org or call our office at 903-962-4000. Click below to review the 2015 financials, 2016 financials will be posted soon. 2015 – 990 2015 Outside Financial Compilation. IRS Regulations and ECFA Guidelines: Charitable contributions are only deductible under U.S. tax law if given “to and for the use of” a “qualified” tax-exempt organization to be used under its control to accomplish its exempt purposes. To be deductible, charitable contributions must be unconditional and without personal benefit to the donor. Unrestricted gifts—Gifts received with no restriction on use or purpose. Donor-restricted gifts—Gifts that are donor restricted for a stated period of time or until a stated event has occurred. The stated event must be more specific than the broad limits imposed by the charity’s purpose or nature. The terms “unrestricted” and “donor restricted” are used to conform with generally accepted accounting principles. The IRS indicates concern about excessive donor control if that control is directed toward a particular individual. Gifts that are given in support of an organization’s exempt purposes and programs are generally tax deductible within the limits prescribed by law. To be tax deductible, the organization must exercise full administrative control over the funds given to ensure that they fulfill its exempt purposes and programs. While exercising full control over the funds, the organization must also fulfill its responsibility to honor donor stipulations for particular exempt purposes, if the stipulation does not represent earmarking for a specific individual. With few exceptions, gifts that are earmarked for a specific individual are not deductible as charitable contributions. Exempt resources must be used exclusively for exempt purposes. This is a fundamental provision of tax law, as well as state law, that should be set forth in an exempt organization’s articles of incorporation and bylaws. Any part of an organization’s resources inuring to the benefit of private individuals is absolutely prohibited. Private benefit ordinarily pertains to activities or resources that benefit individuals outside of an organization but which do not further the organization’s charitable purposes. On the other hand, private inurement occurs when an insider receives a benefit that does not further or is incidental to the organization’s 501(c)(3) purposes. Private inurement may also result from compensation that is not properly reported for tax purposes or result from unreasonable compensation. The use of resources in a responsible manner includes managing assets, liabilities, and net assets in a God-honoring way. An organization that has expended assets and/or inured liabilities in a way that results in the inability to pay liabilities in a timely manner, or net assets that are inadequate to provide for ongoing operations and/or honor donor restrictions, may diminish its own Christian witness. 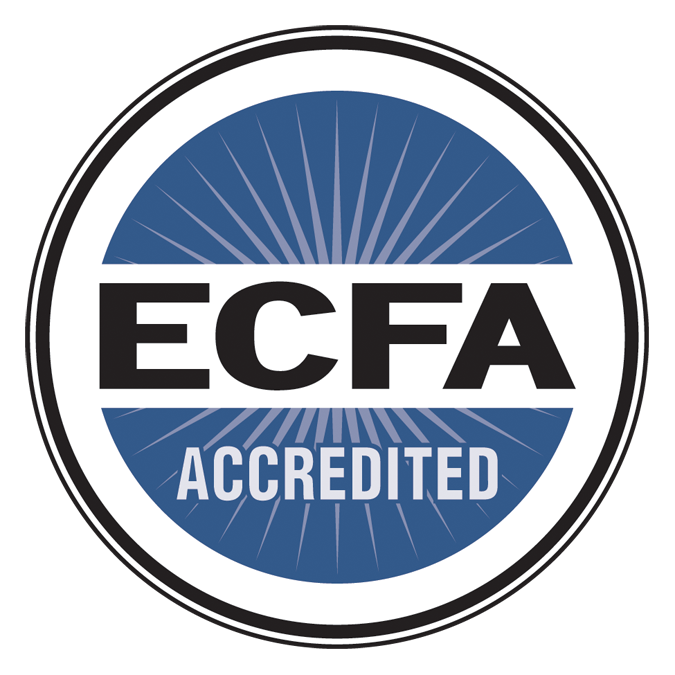 The Christian Health Service Corps (CHSC) is accredited by the Evangelical Counsel of Financial Accountability (ECFA) and we are committed to the highest standard of stewardship excellence. All donor information is considered confidential and is never shared except where required by the Internal Revenue Service. The Christian Health Service Corps will make every effort to honor any indicated designated preference for funds donated. In the rare circumstances where a CHSC ministry project may be overfunded or cannot be carried out in accordance with donor preference, the Christian Health Service Corps Board of Directors may redirect funds for similar tax exempt purposes within the organization. CHSC uses Deputized Fundraising as a primary strategy to fund our ministry projects and programs around the world. This means that our missionary doctors and health professionals help raise the funds needed to facilitate CHSC healthcare ministry activities in the area where they have been assigned. CHSC will accept gifts that are given ONLY in support of the organization’s exempt purposes and programs. To be tax deductible, CHSC will be in full administrative control over the funds given to ensure that they fulfill their tax exempt ministry purposes. While exercising full control over the funds, CHSC will also fulfill its responsibility to honor donor stipulations for particular exempt purposes, if the stipulation does not represent earmarking for a specific individual. (With few exceptions, gifts that are earmarked for a specific individual are not deductible as charitable contributions). Gifts in support of the ministry activities of a specific CHSC worker, such as missionary support, will be tax-deductible contributions to CHSC if they are not earmarked for personal use. The funds will be under the control of CHSC to be expended for reasonable compensation and business/ ministry expenses of the missionary or related ministry costs as approved by the ministry. To assure funds are used for tax exempt purposes CHSC has set forth the following policies to guide receiving and dispersing funding for missionary activities. Funds donated to assist CHSC in supporting a specific worker will be used for reasonable compensation of that worker, and the CHSC projects and programs they may be facilitating. Reasonable compensation is based on budgets drawn up with the assistance of local and nation staff of CHSC or partnering organizations. Budgets are to be submitted to and approved by CHSC senior leadership prior to field service deployment. CHSC pay and compensation transfers occur the first week of each month and are sent to a US bank unless foreign wire transfer arrangements have been made in advance. Funds for CHSC projects, programs, or CHSC ministry related expenses such as travel are reimbursable with the next month’s funds transfer. However, the official CHSC reimbursement form must be completed and submitted to CHSC accounting department for review and approval before the last business day of the month. Receipts are required to accompany the CHSC reimbursement form. Large capital expenses incurred for CHSC ministry purposes are permitted with CHSC donated funds with prior senior leadership approval, i.e. medical equipment, medications, vehicles etc. In these circumstances, CHSC will make arrangements to transfer funds directly to the selling party. All capital goods purchased with CHSC donated funds become the official property of the Christian Health Service Corps. Resale of such items must be approved by CHSC senior leadership and all proceeds received must be returned to CHSC. If and when mission personnel leave a field assignment after purchasing vehicles or other capital goods, the disposition of those items is solely the discretion of CHSC senior leadership. Those goods may be liquidated or donated to a partnering facility or programs. Funds received from any liquidation of CHSC assets are the sole property of CHSC and must be forwarded to CHSC central office. Missionary donors are permitted by the Christian Health Service Corps. Missionaries may donate to CHSC projects coordinated by other missionaries, or in support of the CHSC program in which they are involved directly. However, the same standards apply as for all designated funds. CHSC retains sole ownership, direction and control of all funds donated. Any and all funds received by CHSC and receipted for tax CHSC exempt purposes cannot be moved to other mission agencies or paid as compensation to missionary workers that leave their CHSC positions. Most CHSC missionaries leaving the mission field qualify for three months compensation after leaving their assignment, and reimbursement of expenses related to relocation home.